Sorry Ron, this 1972 Vista Cruiser was too nice for a parts car. Our treasure hunts always start innocent enough. 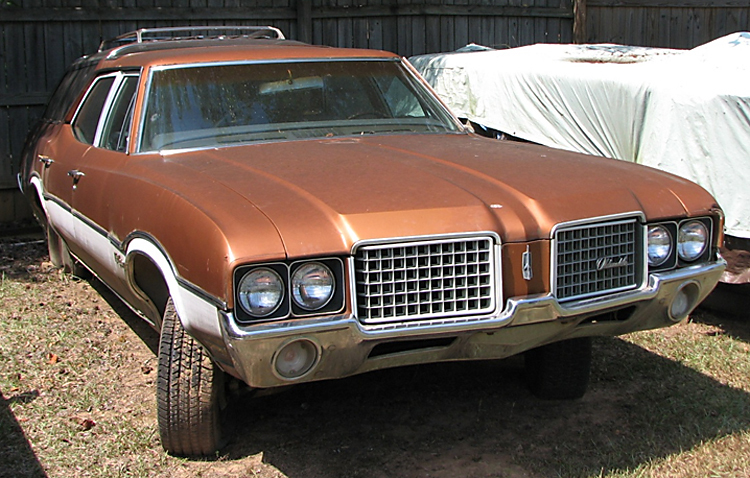 I hear of a 1972 Oldsmobile Vista Cruiser station wagon in Anniston, Alabama. 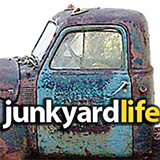 Fellow junkyard gear head galoot, Anthony, works in Anniston... so naturally, I sent him to look at it. Spare glass for my '72 Vista Cruiser would be nice to have. So the call comes in, “Ron, I have bad news, the glass is in decent shape but this is not a parts car," Anthony said. "It’s a way cool '72 Vista Cruiser without a motor. I must have this car!” So, no spare glass for me. Anthony and I put ourselves in extraction mode and headed East (bound and down?) 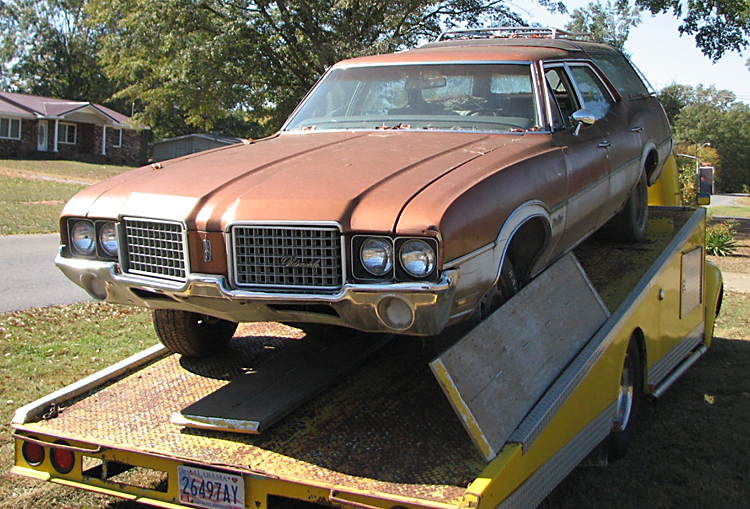 Well into Vista mindset, I drove my '72 Vista Cruiser pulling a trailer full of engine hoist, tires and tools. I was also picking up a '79 Trans Am 403-cubic inch engine and transmission that I bought from the same guy. I may have found a home for that already, but that’s another story, hopefully. Upon arrival, our job was easy. The seller had the Vista on a rollback, so we just rolled it back onto our trailer. Done. The easiest extraction ever. This car is beautiful. '72 Vista Cruiser rescue team. Here we are in full extraction Mode. I thought it was only fitting to take my green '72 to help transport the project '72. 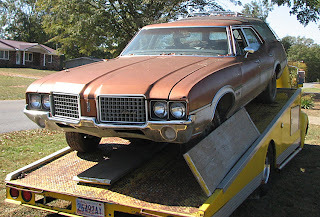 The trip went with ease and we got the 'new to us' Vista Cruiser back to my (Ron) shop and began the tear down. So what did we find? Who is this masked (in wood grain) man? Don’t even try to stop us! What do we have here? It’s a 1972 Vista Cruiser wagon without an engine or transmission. I ran the numbers on the VIN and learned it was originally equipped with a 350 Olds motor with a two barrel carburetor. Code 63 Saddle Metallic adorned the outside top, giving a bronze golden effect. Light color wood grain accents tied it all together. It had a white interior with dark chocolate (dark saddle) dash and carpet. Options include air conditioning, AM/FM radio, and power door locks but no power windows. It rolled from the factory with 14-inch wheels and Oldsmobile cone-style hub caps. Seeing that the original drivetrain is long-gone, a 1972 Olds 455 is going to be nestled between the fender wells. We are going Olds blue and maybe a few sneaky performance tricks like a cam and a disguised intake manifold. Anthony is set on an overdrive trans for long trips. The improved gas mileage will be appreciated seeing the thirst this 455 will have for fuel. It will soon roll on 15-inch Olds SS3 wheels painted factory body color. A slightly darker than original wood grain will adorn the sides. Like this! Planning ahead for darker wood grain? Okay, just kidding, we are not that fast. This is a doctored picture by Anthony that sold him on the darker wood grain. We already knew the wheels would be a natural, no-brainer selection. This car is beautiful and we cannot wait for it to hit the road again. The bumpers are straight, the grills are great and it really lends itself to an easy restoration. This gives Anthony something to do for the rest of the year. Happy Hunting!